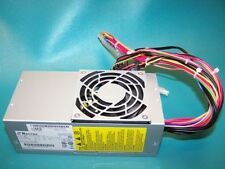 Insignia 450W ATX12v 2.4/Eps12v Power Supply PCW4508- BYK 038 Used- in very good condition. Has been thoroughly tested/inspected and is fully functional. Model Number: VP450. 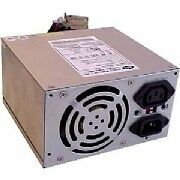 AQ2 Antec Quality 2 year limited warranty on parts and labor. - Gross: 4.0 lbs / 1.8 kg. 20 4 Pin - x1. 4 Pin Floppy Power - x1. 4 4 Square Pin - x1. 6 Pin PCI - x1. 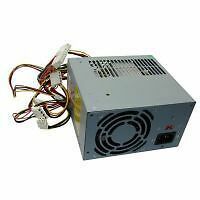 4 Pin Molex - x4. 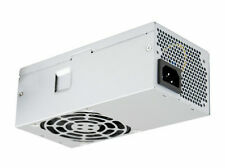 Elite V3 400W. Active PFC (>0.9). Its the perfect option for users and applications that dont require 80 Plus efficiency to get the job done. It only reflects the units ability to move power from the wall to your components. MTBF 100,000 Hours on Maximum Load at 25°C. 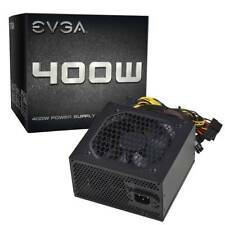 Output Power 450 Watts. Current 36A 0.5A 22A 0.5A. MODEL# KDM-X8450 (AT). AT P8/P9 6 6pin x 1. AT Push Button 4pin x 1. Mother Board Connector Just what I needed. - 4 pin x 1. - CPU Connector - 20 4 pin Connector x 1. During past month. 12 Volt Rails Form Factor. Lightly used, tested, and working perfectly. Max Power Output: 280W. SUPERMICRO P/N: PWS-281-1H. Asset recovery and recycling services. Point of Sale (POS). The truth is out there! Printer Parts. Active PFC (99%). Form factor: ATX. 80 Plus certified. High Efficiency (80%). Warranty Information. EMI/RFI: CE, FCC, C-tick. 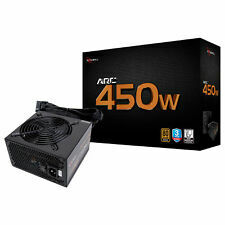 StarTech.com 350 Watt ATX12V 2.01 Computer Power Supply ATX2POWER350. Shipped with USPS Priority Mail. Model CX430. Manufacturer Corsair. Otherwise, an unpaid item case will automatically be opened. Varies by location. Quiet and economical. 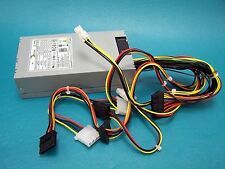 - SATA Connectors Overall very good deal. Good parts & service. Form Factor Exactly as promised and very easy to work with. - Mother Board Connector During past 6 months. Mother Board Connector great communication. - SATA Connectors - 4 pin x 1. - CPU Connector - 20 4 pin Connector x 1. Product as described! 12 Volt Rails. It includes these output connectors: 24(20 4)pin (1), P4-12V 4pin (1), SATA II 15pin (3), Molex 4pin (3), and FDD 4pin (1). 0° C ~ 50° C on Output Load ;. 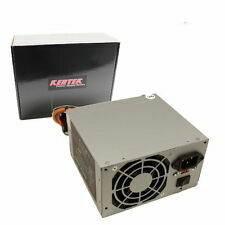 Output Power 320 Watt. MTBF 100,000 Hours on Maximum Load at 25°C. We will assist in any way we can to make your experience the best it can be! Storage top wool shelf. Item is brand new in box still with plastic seal. Standard 24pin ATX Power Connector. 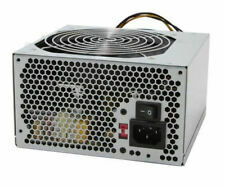 Output ATX: Max 250W. Output ATX: 250W. 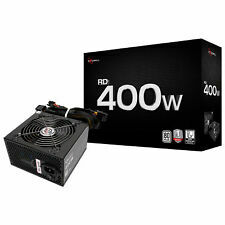 Output Power: 250W. DC Input: 12V. Switch Parts & Accessory. Heat Shrink. Appearance size: 55 35 13mm. This item is used and working with cables.